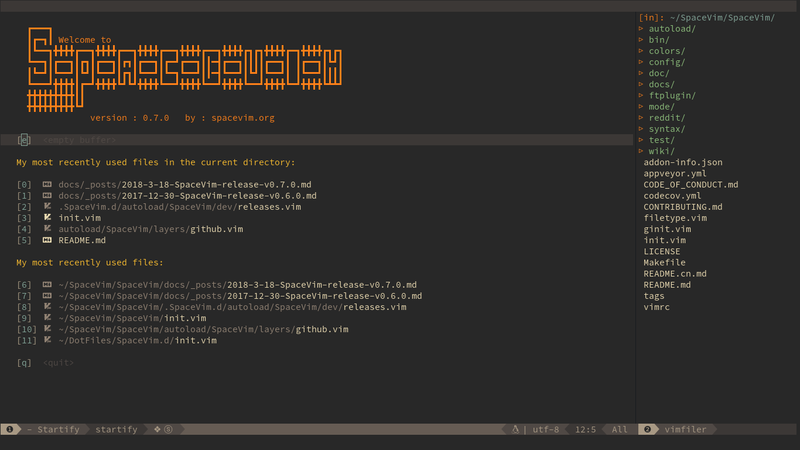 The last release is 3 mouths ago, so we want to bring you up-to-date in the SpaceVim world. Add clever f #1460 Disable [Unite] and [Denite] custom leader, use clever-f instead. Disable all language layers by default, reduced the number of plugins, by default it is 51 only. Disable git, VersionControl and all fuzzy finder layers by default. Remove most key bindings begin with <Leader>, the <Leader> should be customized by users themselves. Improve tools layer #1507. And disable it by default. SpaceVim uses powerful iedit mode to quick edit multiple occurrences of a symbol or selection.